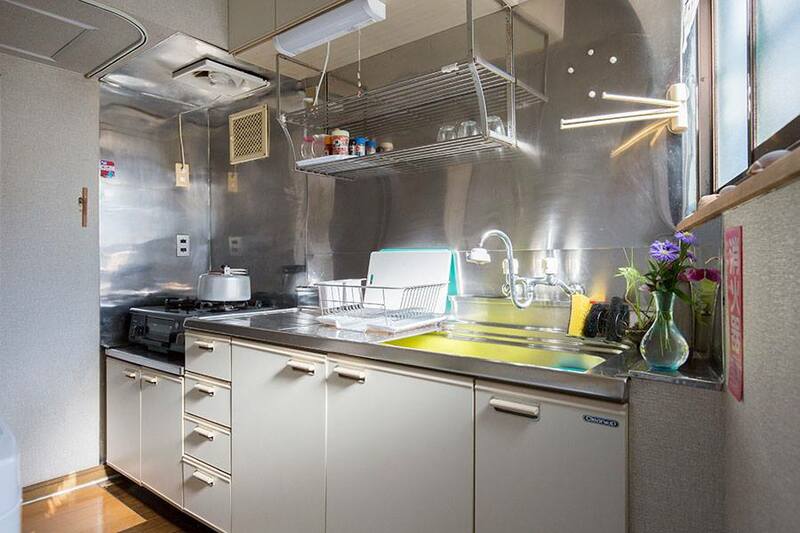 There is a small kitchen in Pongyi. 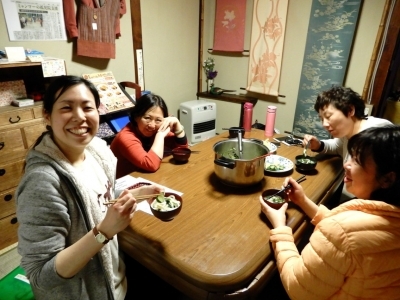 Some people cook and eat at our house. 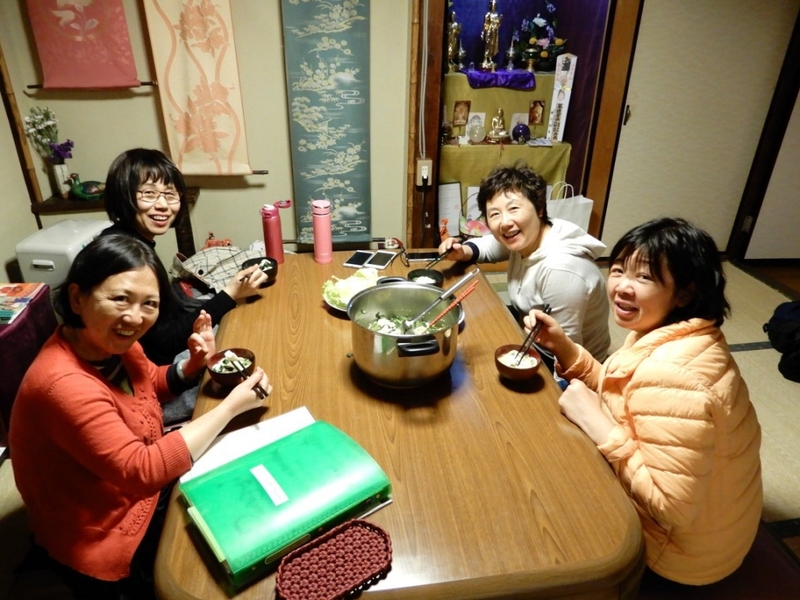 Chinese group cook soup with Japanese noodle (Udon). 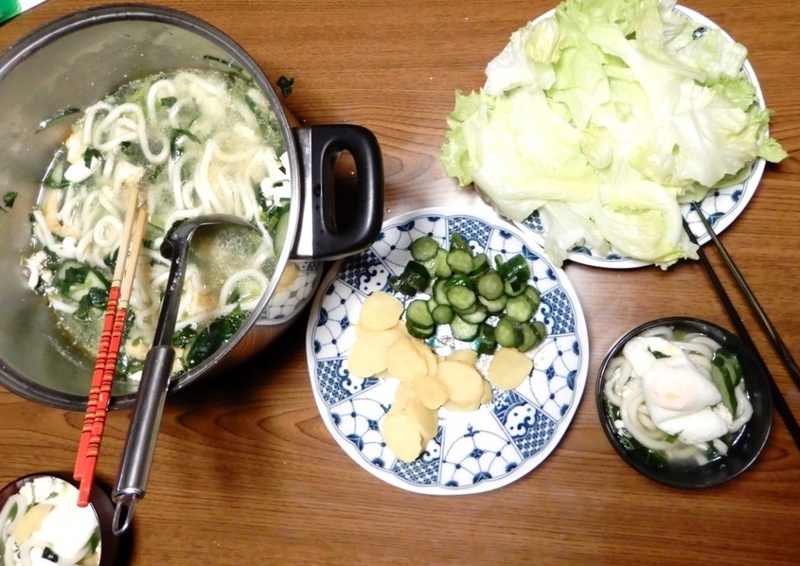 A Japanese guy is a cook. 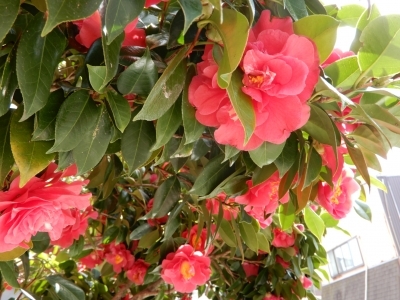 He went to the market of professional in the early morning. 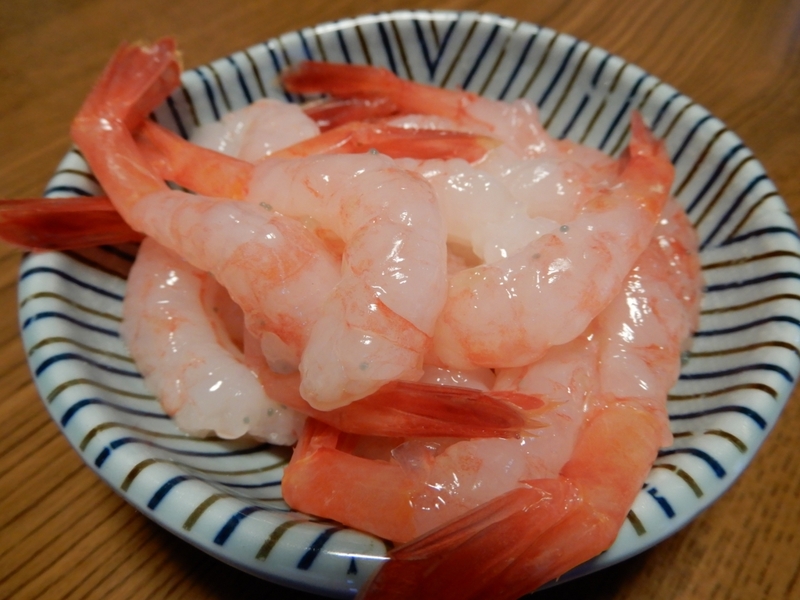 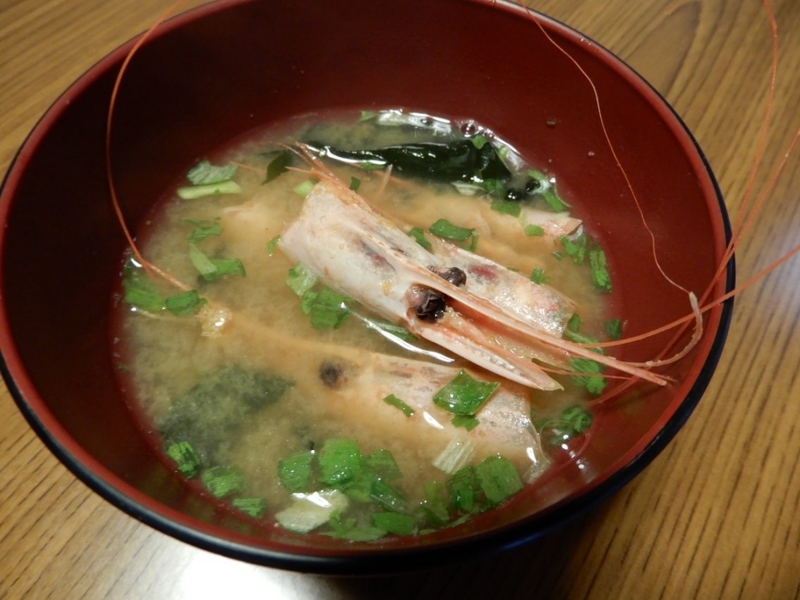 He cook Miso-soup made from sweet shrimp. 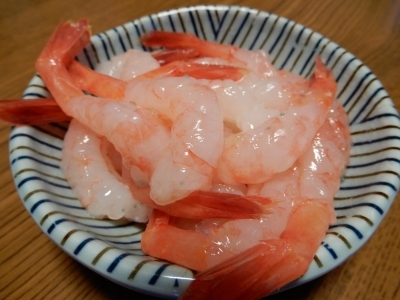 And he ate fressh sweet shrimps. The German and Israeli women went to eat pancake together. 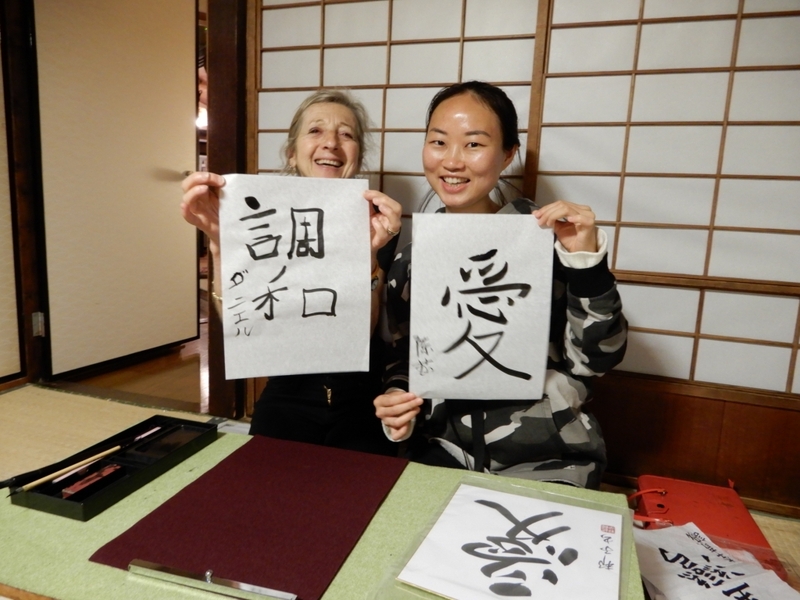 The French and Chinese women has similar interesting.About the Calligraphy,Zen,etc..
Finaly they left together for a trip to the hot spring. 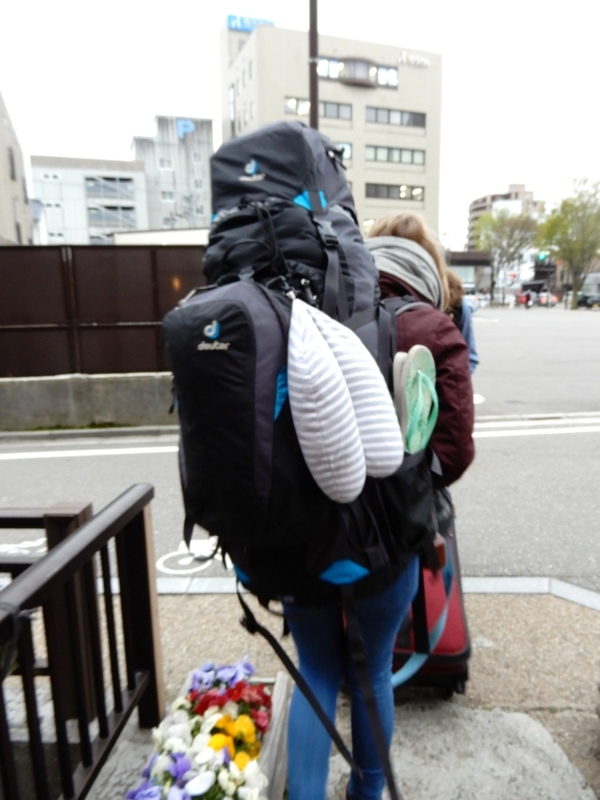 She is Backpacker from Germany.Although she is thin,she carries a big backpack. 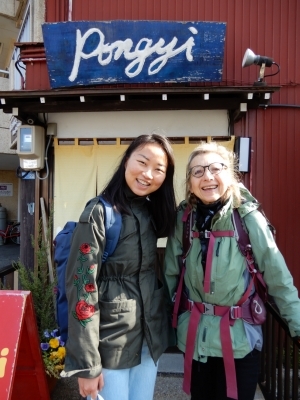 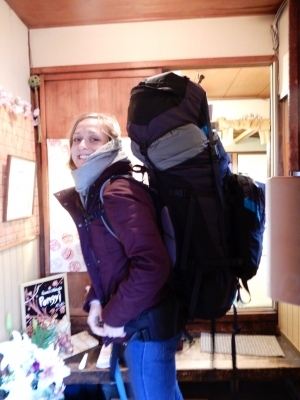 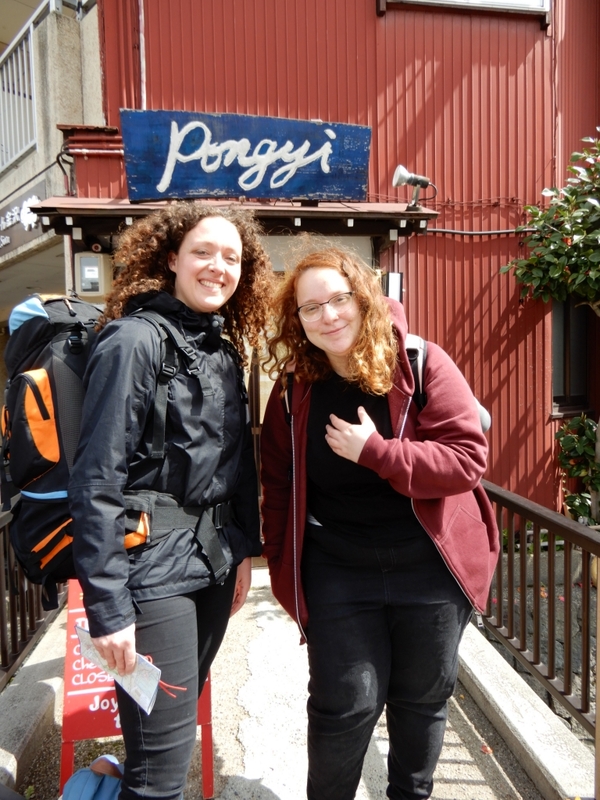 There are lot of western backpackers like this in Kanazawa at this time of year. 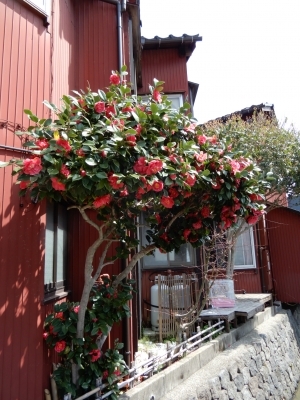 Camellia in the entrance is also in full bloom.